Just home from a fantastic day at MCM Scotland which was held once again at the SSEC over in Glasgow. A really packed show with every exhibitor and trader stand busy and thousands of con visitors. Had a fantastic time and managed to get photos of some awesome cosplayers (link below) and all in all a very good con. Only real gripe with the event is the venues staff being rude when trying to get back in to the venue, using an antiquated hand stamping method and not signing what where entrances and exits at all. I got told to go to the next entrance four times in a row by quite rude staff. A simple sign saying entrance or exit only would save a lot of hassle! This is not the first time that this has happened at the SSEC and again it is down to the venue staff and not MCM. 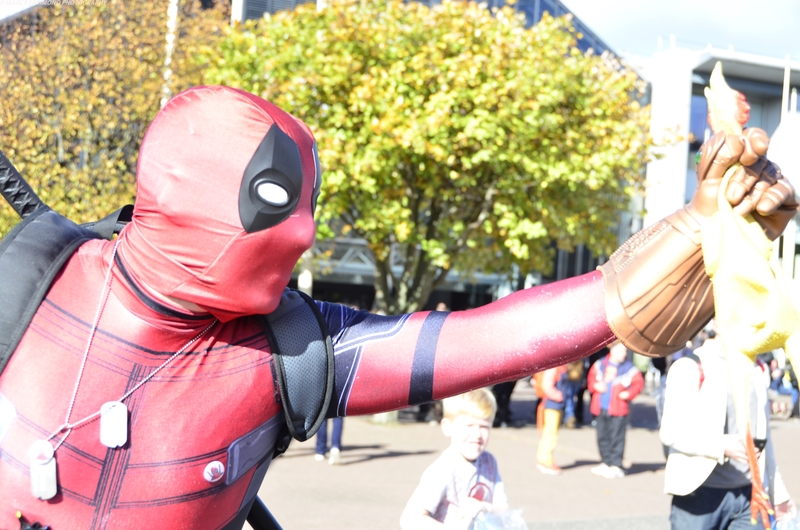 All griping aside I would like to thank everyone who was kind enough to stop for a photo and all the amazing cosplayers who turned up for our annual Marvel shoot.